At Lil' Boy Bulldogs, the sport of showing dogs is a family affair. We show in Conformation and previously Junior Showmanship throughout the Southeast. Our two sons were raised in this sport and we quickly formed the identity of the family with two little boys that show Bulldogs - thus we proudly coined the name "Lil' Boy Bulldogs". 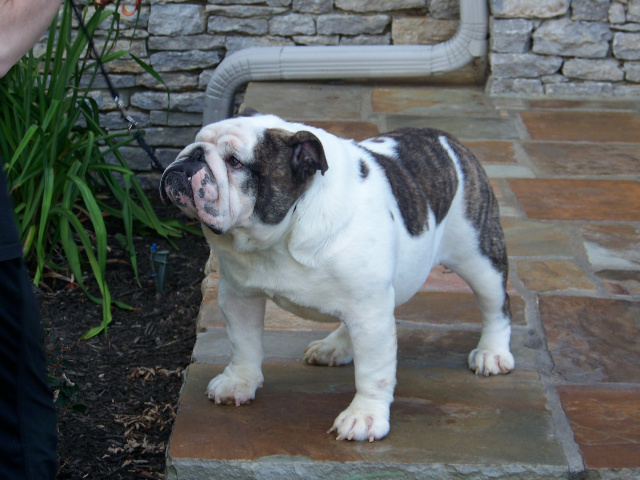 Our sons finished their first Bulldogs when they were only six years of age. In November of 2006 we were inducted into the BCA Breeders Hall of Fame for having bred 10 or more champions of record. After achieving Hall of Fame status, we accepted judging assignments and eventually gained full Approved status from the American Kennel Club. It has been an honor to judge some of the best Bulldogs in the world, both in the USA and abroad. We breed one or two litters each year in order to keep our show prospects coming. Each litter is carefully planned, often months in advance, to capitalize on solid line breeding principals. 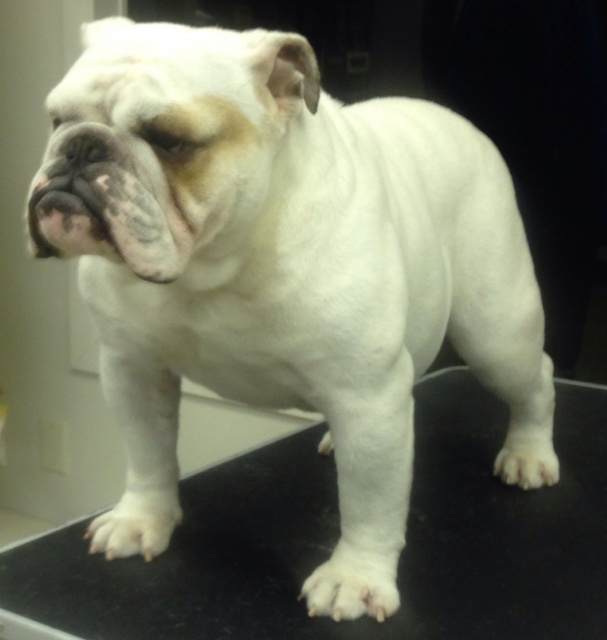 We focus on conformation, health and temperament and often keep our puppies until they are 4 - 6 months old, or more, as we attempt to identify the best. Please note, this is a hobby and passion - it is NOT a business. What little money is received from the placement of puppies is quickly spent (notice we didn't say invested) on expenses associated with showing and care. 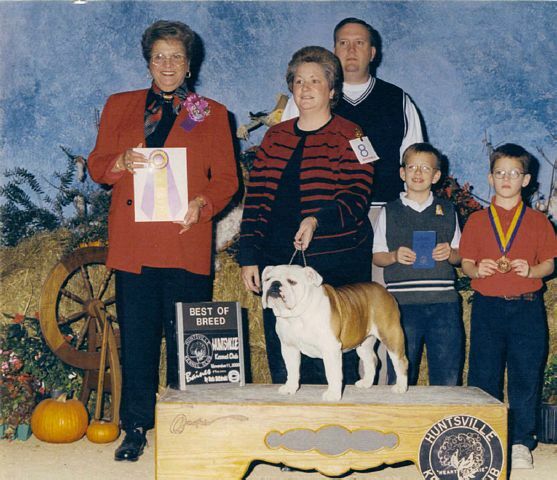 If you are wanting to explore the wonderful sport of dog showing and learn more about our Bulldogs, we invite you to continue on our site. Awarded four very rare Best in Show Awards (All-Breed)! 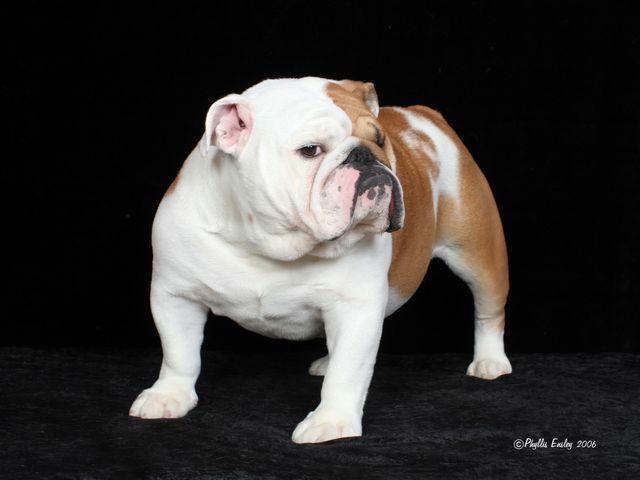 "We enjoy the challenge of producing quality bulldogs that are capable of competing at the highest levels, anywhere in the world."